Home » Pest Killing Guides » Rat and Mouse Guides » How To Get Rid of The Dead Rat Or Mouse Smell? How To Get Rid of The Dead Rat Or Mouse Smell? ...so you can only imagine how disgusting these vermin smell once they've died. The odor of decomposing rats can be so offensive that you'd be forced to wave your hand in front of your nose for temporary relief. 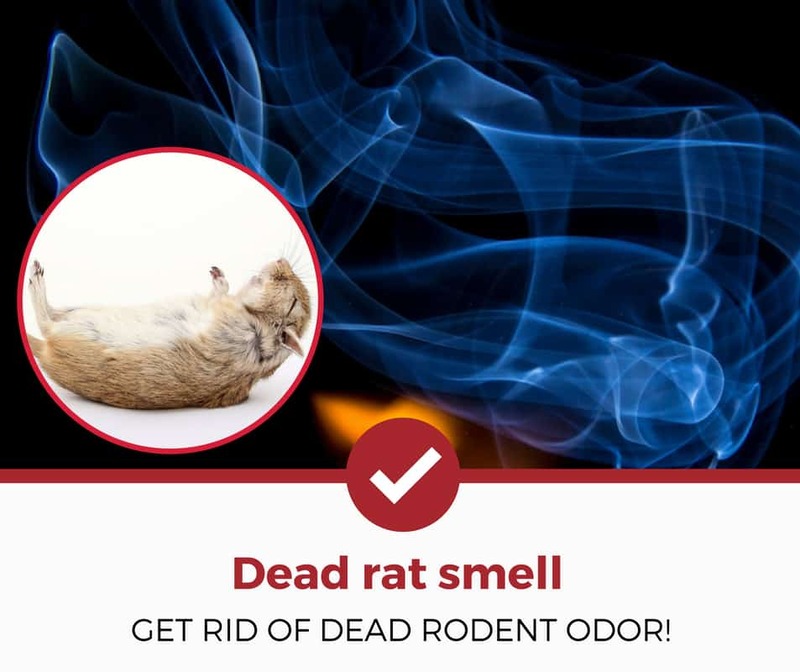 And whether you like it or not, dead rat smell can linger throughout your home for quite some time, and can severely affect your family's normal daily life. Otherwise known as "the stench of death," an ever-present dead rat smell is definitely the second-worst problem any homeowner faces...right after rodent infestation. And the issue gets even more challenging and frustrating if you don't know where the dead rats are. How can you effectively neutralize the smell of a decaying rat, especially if you can find it?? Keep reading below for all the tips you need to get your home back. Why Do Rats and Mice Smell When They Die? Getting Rid of Dead Rat or Mouse Smell in Your Wall? Removing Rat Smell From In Your Car? Removing Rat Smell From Under Your Home? Removing Rat Smell From Your Attic? Removing Rat Smell From Your Garage? Dead rats or mice begin smell as soon as the decomposition phase kicks in. This chemical process involves the breakdown of the dead rodent's soft tissues and continues until only the skeletal component of the rat or mouse is left behind. The body of the dead rat undergoes different stages of decomposition producing a variety of gases such as sulfur dioxide, hydrocarbons, and methane. When these gases mix together, they produce quite a repulsive odor that drives almost all creatures except those that are known to eat the dead body such as vultures, flies, and opossums. Read Also: What's the best poison to kill a rat? Want to skip all this research and just hire a decent exterminator for your rodent problem? Rats are carriers of a variety of diseases, viruses, and bacteria when they're alive. When they're in their decomposition stage, this number spikes dramatically due to the changes in chemical makeup. So before anything else, it's highly advised to make yourself physically prepared to get the job done with personal protective equipment. Prepare at least three to five ziplock bags. The stench could involve multiple dead rodents, especially if you've recently applied baits in strategic corners of your home to thwart an infestation. Gear up with disposable gloves and a face mask. Prep a solution of 1 part bleach and 9 parts water. Use this solution to wipe clean the scene of the crime with the help of paper towels. Lastly, carry with you a sealable garbage bag. As much as you hate the annoying odor of dead rat smell inside your home, you have no choice but to sniff and locate the source of the problem. As unpleasant as it sounds, your nose is going to be your biggest ally in—literally—sniffing out the problem. The stench of dead rodents can linger throughout your property for as long as 8 to 10 weeks, and needs to be taken care of as soon as possible so that everything can go back to normal inside your home. You're lucky if the source of the odorous problem is just lying across the kitchen floor or underneath the sink. But in many cases, rats or mice can stay out of your sight even in their death. And this is when the problem takes a more challenging turn. Rats and mice hide, live, and move inside the walls of your house. This simply means that there's a high possibility for dead rats or mice to be found in these hard-to-reach places. Dying rats or mice seek the warmth and comfort of your home's inner walls, especially when they still have enough life in them to move around. It goes without saying that having a dead rat or mouse inside your wall can be quite tricky. The walls are the main components of your home, and they're virtually all around you; so locating the source of the problem may prove to be quite challenging. Read Also: How to pick an ultrasonic pest repeller for mice and rats? The first thing you need to do is to scout the entire property and narrow down suspicious spots into a single room or area. Sniff out the problem by sticking your nose at least an inch away from the surface of the outer wall. Once you've located the spot where the stench is strongest, cut out a hole using a drywall saw or drill. Remove the carcass of the dead rat or mouse and seal it in a ziplock bag. Wipe off the area with the solution you've prepared earlier and reseal the hole with the help of a drywall patch and spackling paste. Check out the video below for a crash course on how this is done. Rats can easily infiltrate your car through various possible entry points—one such being the vehicle's ventilation system. And in one way or another, your car could end up as a graveyard for dead rats or mice. Since your car is, essentially, a labyrinth of crawlspaces and areas that can harbor the critters, locating and removing a dead rat requires patience, a good nose, and a flashlight. First, test run the car's vents and observe whether the stench is the same or stronger when the system is turned on. Remove the cabin air filter and conduct a thorough search into the system. Unscrew all the seats and remove the carpet. Pop the trunk remove its carpet as well as other removable parts of the vehicle. Conduct a comprehensive under-vehicle inspection if you still haven't found the culprit of the lingering stench. Once you've located the dead rat or mouse, secure it in a sealed bag and wipe clean the affected area of the vehicle with your bleach solution. ​Dead rats or mice can also end up lying in your foundation vents or across your home's crawlspace. And the solution for this problem is quite simple and straightforward. Depending on the structure of your house, the difficulty of the task varies significantly. your usual battle gears (disposable gloves, mask, expendable clothes, zip lock bags, etc.). The attic often serves as the highway for critters like rats and mice. And, when the time comes, this area also normally becomes their final resting place. But looking for dead rats or mice in the attic can also be quite challenging, since they could be hidden under the insulation. 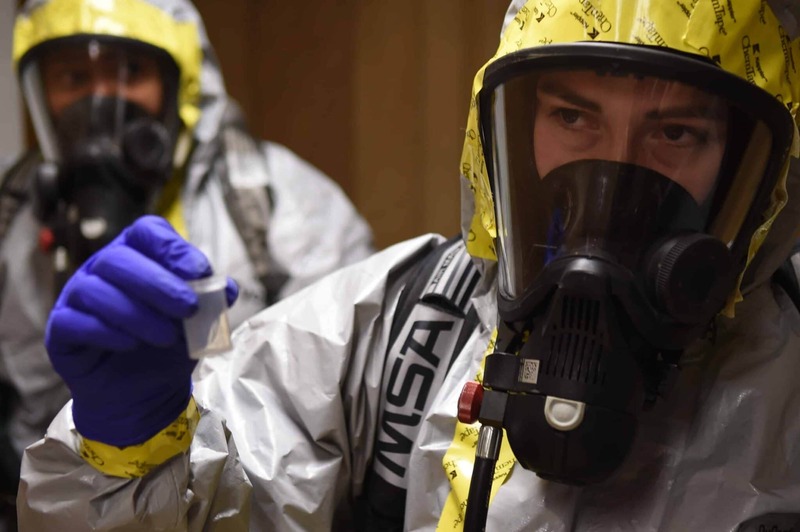 Furthermore, the stench is basically stronger in rooms that are directly underneath the affected area since attics are usually well-ventilated. In order to remove the carcass of a dead rat or mouse, you first need to be well aware of the attic's architectural structure. You must have a plan where and how to move around the attic, especially if it doesn't offer enough crawlspace. Use a head lamp and a respirator to avoid inhaling dust, dander, and mold. Once you've used your nose to find the body of the rodent, remove the dead rat and spray the area with a bio-hazard waste cleaner. Read Also: How to pick the best respirator for dust, danger, and mold? 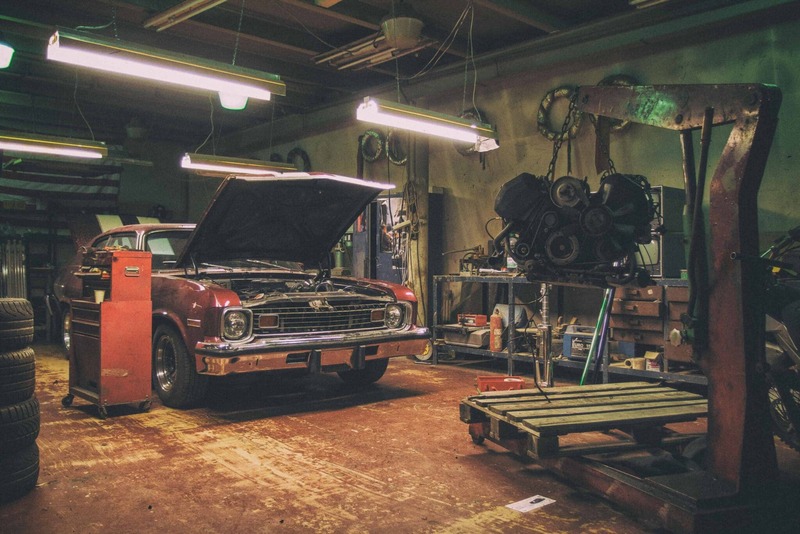 Rats and mice love cluttered, cramped spaces—which makes your garage the best candidate for an infestation and possibly the prime place to find a dead rodent. And since your garage is like a maze of cluttered tools and equipment, your best way of locating a dead rat would be to de-clutter. Better yet, it's advised to take everything out of the space piece by piece. Just make sure that you take each item out in groups so that it would be easier to put them back in their respective shelves. Also make sure that take out your car first to secure a more spacious working area. Once you've located the dead rat or mouse, dispose of it immediately and apply sanitizing measures. Removing Rat Smell From Your Basement? If heavy on a nasty smell, basements can be extremely hard to vent out from nasty odors. Regardless of how hard you mop and spray, sometimes you have to fight harder. Get rid of anything that might absorb odors such as upholstery, fabrics like clothes, shoes, mats, rugs, also paper, like books, magazines, and etc. Try DIY vinegar and baking soda mixtures and spray all over. Scrub and sand any hard surfaces of the mold-infested layer on the top. Use advanced filtration like specialised air purifiers for basements and speed up the process. Explore solutions like venting tubes or window fans that will require funds. Prepare a lot of charcoal. If used with persistence it can greatly aid in neutralising stubborn odors. The same applies for coffee grounds, however, the quantity needed per day for any sufficient results exceeds the coffee usage of a big family. The first sign that something is amiss in your home is going to be that the notorious stench of death fills your nostrils...and sadly, this is going to be your closest compatriot in finding the dead rat and getting it disposed of as soon as possible. Because rats and mice love to live in the shadows, chances are that they'll die in the shadows, too. Let your nose do the work for you, and be guided along by your senses. Once you locate the decaying animal, the most difficult part is over! Simply dispose of it safely, and breathe easily.